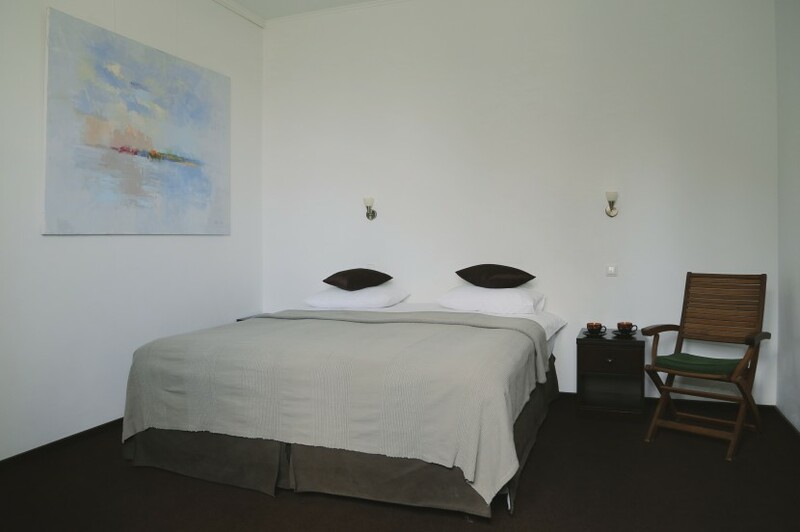 Located right at the foot of a hill Knyazha Hora Hotel resembles a large and well-groomed Alpine house where European comfort meets sophisticated style. The hotel was build of environment-friendly materials, primarily wood and stone, which for centuries the wealthy houses have been usually built of. In order to ensure supreme comfort for our guests we've performed an entire reconstruction and re-equipment of our hotel in 2008. In 2010 our art-hotel has passed certification and achieved a 3-star category. Later in 2011 Knyazha Hora has been recognized among 100 best hotels of Ukraine! The medal and diploma of rating "100 Best hotels of Ukraine" have become a well-deserved honor for the team of Knyazha Hora for diligent work. Safety of our guests is always our top priority. To ensure that the hotel is equipped with video monitoring systems and parking is securely fenced and guarded at night. In order to provide the exquisite service and convenience to our guests we pay attention to qualification of our staff and quality of services provided. 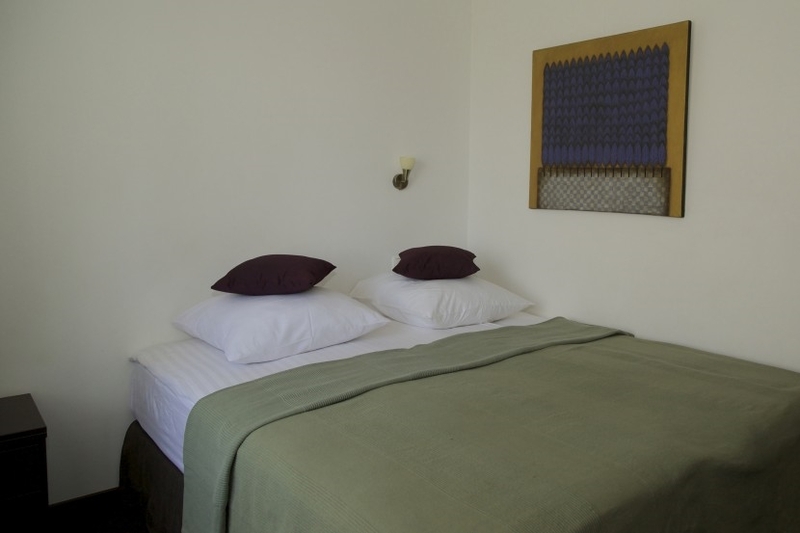 Hotel offers 24/7 reception, conference facilities up to 14 people and laundry service. Also we have an equipped children's room and playground for our younger guests. Quantity: 1 room. 18 sq.m. One room without window with air conditioner; bathroom is equipped with a shower. Extra bed is available upon request. Child under 7-year old: free of charge. Child from 7 to 12-year old: charge 150UAH. Child from 12-year old or extra Adult: surcharge 200UAH. Quantity: 1 room (18 sq.m). 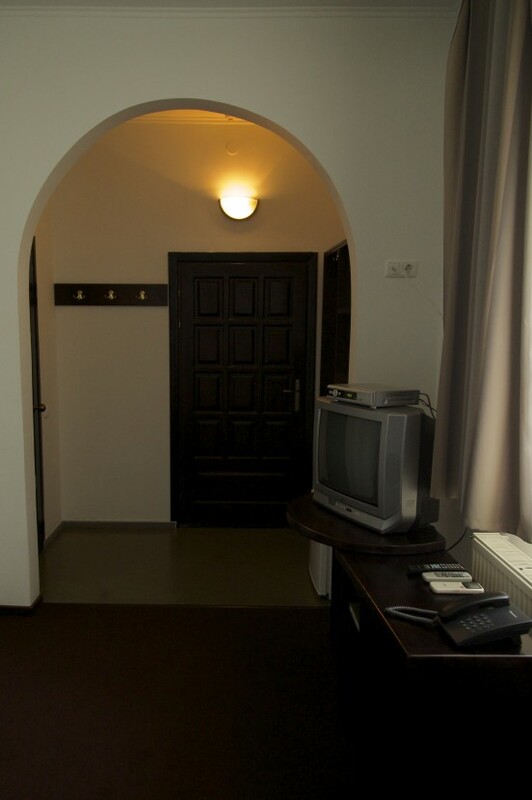 Enlarged standard room with air conditioner; bathroom is equipped with a shower. Extra bed is available upon request. Child under 7-year old: free of charge. Child from 7 to 12-year old: charge 150UAH. Child from 12-year old or extra Adult: surcharge 200UAH. Quantity: 4 rooms (201, 204, 301, 304) 21sq.m each. Enlarged standard room with air conditioner; bathroom is equipped with a shower, except room 301 (equipped with a corner bath). Extra bed is available upon request. Child under 7-year old: free of charge. Child from 7 to 12-year old: charge 150UAH. Child from 12-year old or extra Adult: surcharge 200UAH. Quantity: 2 rooms (203, 303). 20 sq.m each. 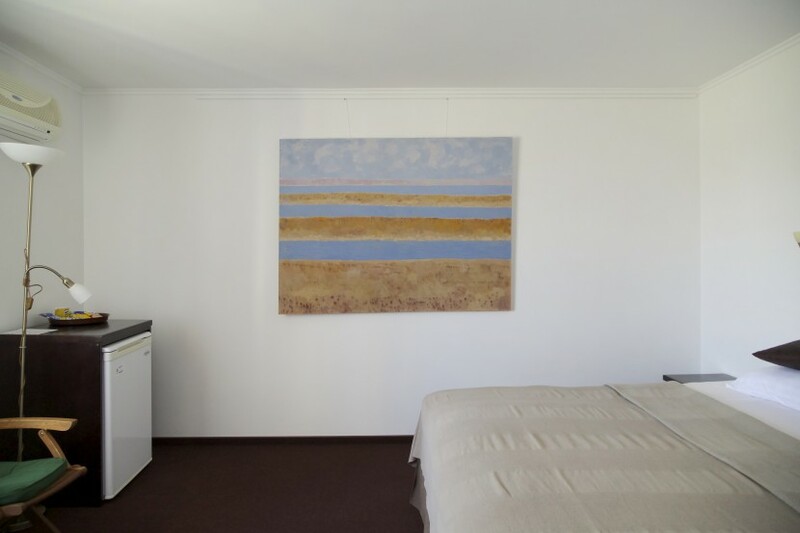 Panoramic room with air conditioner; bathroom is equipped with a shower; magnificent view on Dnipro river. Extra bed is available upon request. Child under 7-year old: free of charge. Child from 7 to 12-year old: charge 150UAH. Child from 12-year old or extra Adult: surcharge 200UAH. Quantity: 2 rooms (202, 302) 38 sq.m each. Two-room suite with a bedroom and a living room with comfortable furniture; air conditioning; bathroom is equipped with a corner bath; magnificent view on Dnipro river. Extra bed is available upon request. Child under 7-year old: free of charge. Child from 7 to 12-year old: charge 150UAH. Child from 12-year old or extra Adult: surcharge 200UAH. Quantity: 1, 35sq.m. 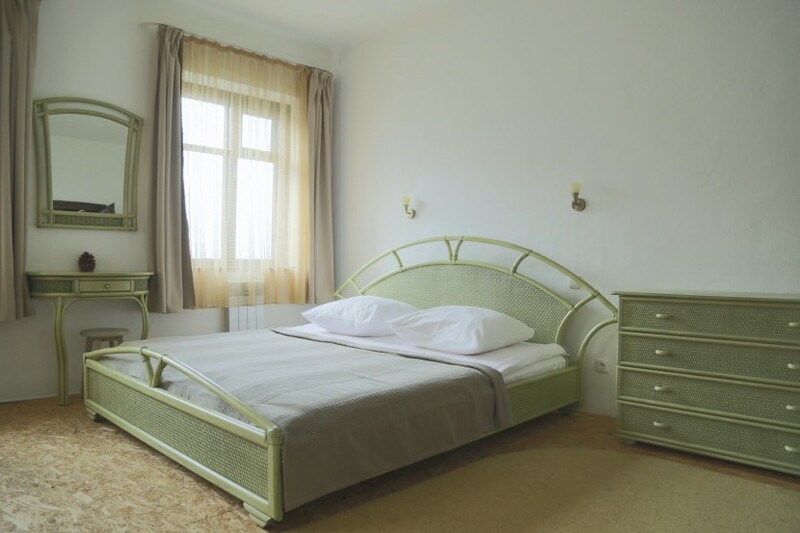 Ukrainian mazanka with a large bedroom and corridor; bathroom is equipped with a shower. Extra bed is available upon request. Child under 7-year old: free of charge. Child from 7 to 12-year old: charge 150UAH. Child from 12-year old or extra Adult: surcharge 200UAH. Quantity: 1, 40sq.m. Ukrainian mazanka with a large bedroom, corridor and piazza kitchen area; bathroom is equipped with a shower and a rustic stove. 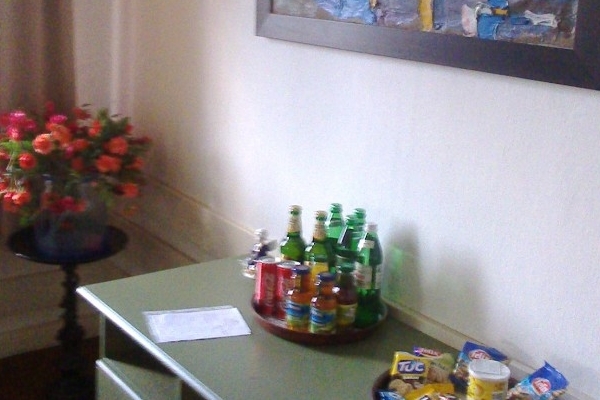 The room is equipped with DVD-player, stereo system and flat screen TV. Extra bed is available upon request. Child under 7-year old: free of charge. Child from 7 to 12-year old: charge 150UAH. Child from 12-year old or extra Adult: surcharge 200UAH. Kyiv Central Rail Station or Kyiv International Airport (IEV) pickup and transfer to Kaniv. For transfer arrangements please call 047-363-15-88 or contact administrator at reception desk. To order an excursion please call 047-363-15-88 or contact administrator at reception desk. Business center is located in the office of the complex, in a cottage behind the hotel building. To order Business center please call 047-363-15-88 or contact administrator at reception desk. For business-travelers the hotel offers a well-lit room perfectly suitable for business meetings, seminars, trainings for a group of up to 16 people. other equipment for presentations that might be needed during the event - price on request. Upon request for your business events the hotel provides a wide range of catering services (coffee break, lunch at the restaurant, banquet). To order conference facilities please call 047-363-15-88 or contact administrator at reception desk. Laundry and ironing services are available every day from 9a.m. to 5p.m. Payment is collected at reception desk. Compensation in the event of clothes damage will not exceed fivefold cost os washing or cleaning. Regular service: service delivery time - 24 hours. Express service: available from 9a.m. to 5p.m. 24/7. Clothes will be returned within 4 hours. Extra charge - 100% of regular price. For service order please call 047-363-15-88 or contact administrator at reception desk. The management and staff of forces place "Knyazha Hora" is making every effort to make your stay at our hotel as comfortable as possible. We do constantly improve the level of service, and trying to further diversity our services. Trampoline - 10 min. 20 UAH. Darts - 10 min. 20 UAH. It is possible to play in pairs: 4 people. Table rent 30 min. / 30 UAH. Archery – 1 shot / 1 UAH. Horse riding. Advanced booking Cost 50 UAH. / 10 min. Eco walk on Pylypenkova mount 30 – 50 min. Ride on the boat «BUSTER» to the bird market (the third largest settlement of cormorants in Europe), 4 people at the boat. Time of ride - 45 minutes. Cost - 600 UAH. At boat «NITRO» - 1000 UAH 5 people. Water skiing 25 UAH. - 1 min. Mountain «Honcharykha» walk in UAZ car - 200 UAH / 30-40 min. Excursion to the Blue Lake 1,5 hours - 300 UAH. The ancient Cossack cemetery in Trakhtemyriv 4 person with a guide 650 UAH. To order the service please call 047-363-15-88 or contact administrator at reception desk.